Do you feel the tension that seems to permeate the air of this world lately? Things just feel heavy. Hearts are hurting. People are discouraged and dissatisfied. It seems as if this whole world is worn down from struggles and it would be so very easy to just give in to the pull of weariness and discontent. Maybe a good place to start is to look at someone else who was weary in the battle and see how they overcame it. In 2 Chronicles 20, Jehoshaphat is facing a multitude that has come against him. He’s going to have to fight his enemies. 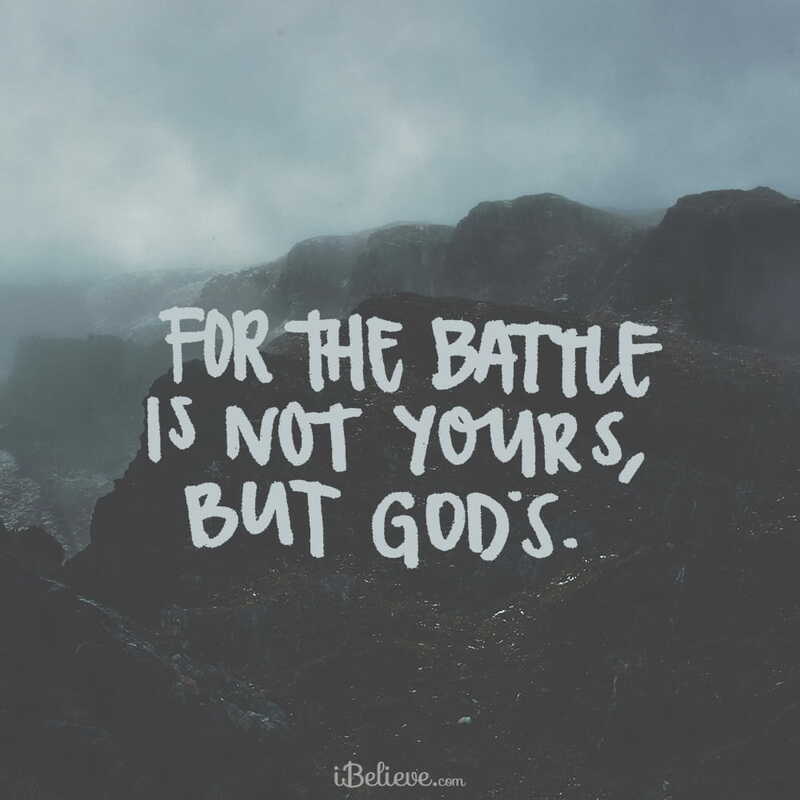 However, when he seeks God’s battle plan, he sees that it is a little different than the one he might have been considering. Battle weary friend, we do not need to be overcome by the strife and the difficulties that surround us. Let’s give up our battle plan with all of the fear, worry, discouragement, wobbliness, and struggling that it brings and follow God’s plan instead. We can embrace the peace, hope, and assurance He offers. After all, His record for victory is pretty solid. Lord, I admit, I am weary. Life is going a million miles an hour and I am just trying to hang on. I am tired and I am afraid when I look to the future and think about all that is coming. Lord, I know You want me to trust You through this. I know You want me to surrender this weariness to You. I surrender now. Fill me with Your strength. Fill me with Your presence. Help me find moments today of rest and rejuvenation. Thank You that You never abandon us in the midst of the battle. Thank you for your everlasting faithfulness. In Jesus’ Name, Amen.